As we approach the home stretch of the fall semester and another exciting season of NSLS induction ceremonies across the country, I wanted to take a moment to discuss energizing your leadership journey. This semester, you may have found yourself falling into the comfortable habit of doing the same things, in the same places, with the same people. The monotony of following a repetitive schedule may have made you apathetic about interrupting what feels comfortable with a new activity or goal. After all, why be uncomfortable when you so comfortable? As a leader, however, it is important to constantly challenge yourself -- and your team -- to new heights. So how can you get your second wind of motivation in the middle of the semester and reinvigorate your team at the same time? First, set new goals. Your leadership journey may feel monotonous if you’ve created a well-oiled machine of a team that easily jumps over a bar goal. Even if you’re achieving whatever has been set out in front of you, create a higher, more ambitious goal. Having something new to work toward will recharge your drive for greatness and makes the experience that much more rewarding. Be open to change and don’t fear challenges. Great leaders are flexible and can handle any unexpected surprises. Is there a new opportunity on the horizon that you’re unsure about? Fearful of the unknown? Embrace the opportunity to challenge yourself and try something new. Treat it as a learning moment, one that will only make you a stronger leader as a result of developing a new skill set or talent. Last, learn from those around you. Maybe the reason you’ve hit a brick wall is because the only voice you’ve been listening to is your own. Take a moment to solicit the opinions and ideas of friends, family members, classmates, or co-workers around you. They will inspire you to achieve even more and will become a part of your journey, rather than a quiet bystander. Keep these thoughts in mind as you push through the final stretch of 2018, and search for that next burst of energy that propels you forward. Continue Reading below in the Monthly Motivation section for more on finding energy as a leader. 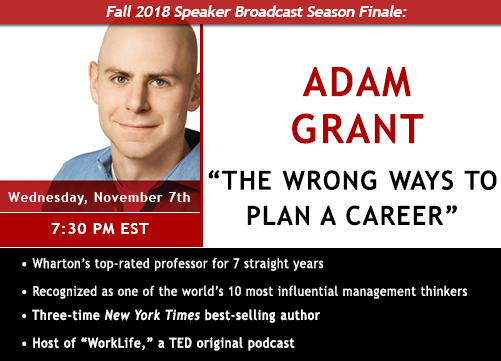 The final Fall Speaker Broadcast, featuring Adam Grant, will be held Wednesday, November 7 at 7:30 p.m. Eastern. If you’d like to ask Adam a video question during the broadcast, please send a file or link to your YouTube video (public or unlisted) to broadcast@nsls.org no later than 12:00 p.m. (EST), Tuesday, November 6. 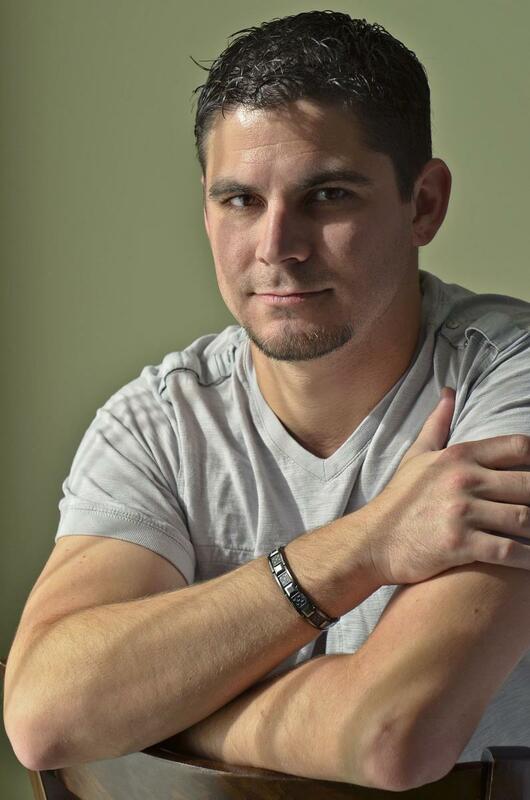 Several submissions will be chosen for Adam to answer live. If your video is selected, you will receive a $50 VISA gift card. You may also submit your questions during the broadcast on Twitter using #theNSLS. Please reach out to your local Chapter Advisor or Chapter President for details on where the broadcast will be streamed on your campus. The First Annual NSLS National Leadership Summit is one week away! Next weekend, November 9-10, over 300 NSLS members and chapter leaders from across the country will descend on New Jersey City University for the first ever National Leadership Summit--the largest conference we’ve hosted yet! Although registration for the event is closed, members can follow along on social media for updates and highlights from the weekend, as well as profiles of our speakers. Follow us on Twitter (@theNSLS), Instagram (@theNSLS) and Facebook (/theNSLS) for updates throughout the event, and use the hashtag #theNSLS. 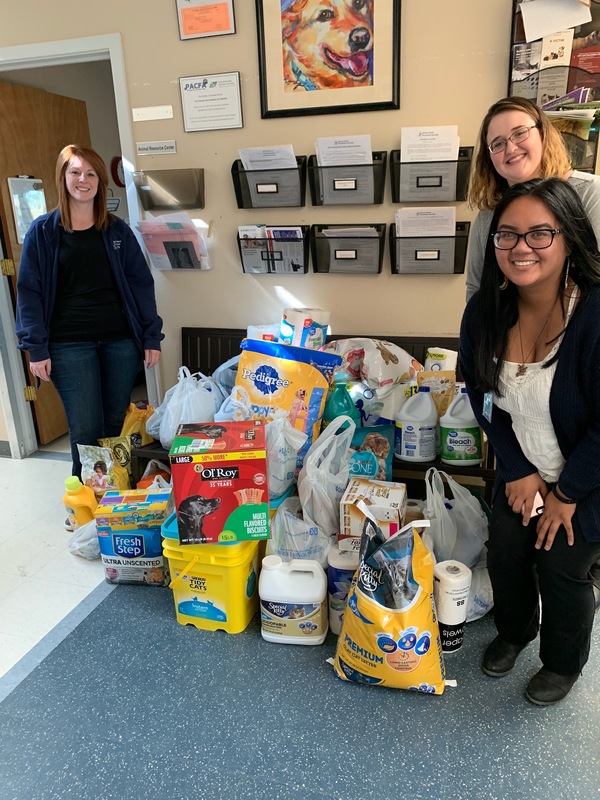 The NSLS chapter at Colorado Mesa University recently held a drive to donate supplies to the Roice-Hurst Humane Society, a local animal shelter and adoption center. The chapter spent time outside a local Walmart, encouraging community members to donate to the shelter. The chapter was able to gather dozens of bags full of supplies to donate directly to the shelter. Check out our blog for more photos from the event. Led by Fundraising Chair Lajasmine Woody, the NSLS chapter at Alabama State University hosted its first campus engagement event--a breast cancer walk that brought together more than 75 members of the ASU community. A local dance group, HA2, kicked off the event with a performance, and then the participants walked across campus before releasing balloons into the air in honor of those who have lost their lives or are currently fighting breast cancer. The chapter also had on-site breast imaging available. Check out our NSLS blog for more photos from the event. Michael McGuire, an inducted member from the NSLS chapter of the University of North Florida, was recently named to the TIAA Difference Maker 100: “Presenting 100 Difference Makers for a Better Tomorrow.” TIAA honored 100 people making a difference and made donations to the nonprofit organizations they’re impacting. On more than one occasion, I’ve heard Andy Stanley say, “The best thing a leader can bring to his team is his energy.” I agree. This has certainly been my experience. As a leader, everything you do is contagious. If you are discouraged, pessimistic, or lacking in energy, people will feel it. The organization will reflect it. It will spread faster than an oil spill in the Gulf of Mexico. Our members are leading and inspiring individuals on their campuses and in their communities across the country every day, and we want to help tell those stories! Articles and other content for upcoming newsletters can be submitted anytime to communications@nsls.org. Please include photos from your event, and let us know what you were doing, who participated, and how it impacted your members and community. So many chapters are making a difference every day. Keep up the good work!